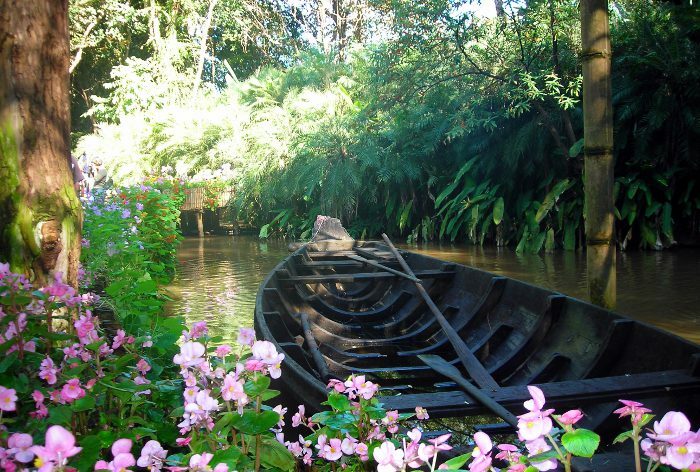 The Mae Fah Luang gardens of Chiang Rai province in Northern Thailand. 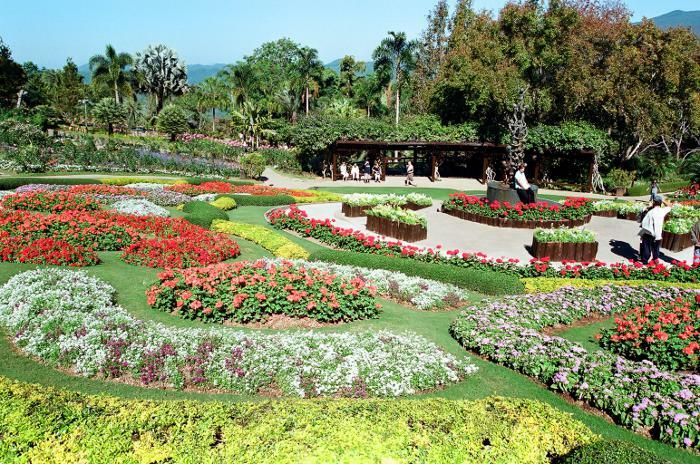 Nikon F50, lens 28/80mm These gardens were built by the royal family. 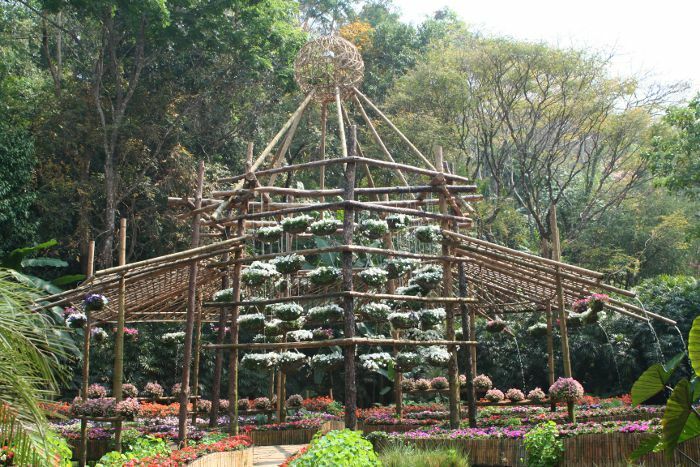 They are located on Doi Tung mountain and the climate allows plants from several ecosystems to grow there. 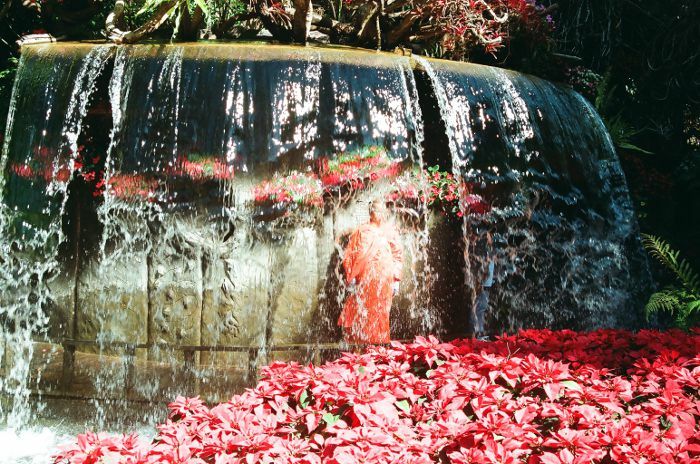 Nikon F50, lens 28/80mm Under the waterfall, there is a Buddhist monk, in his orange dress.